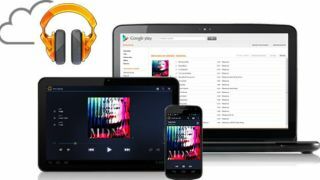 Just two months after its initial launch at Google IO in June, Google's awkwardly named Google Play Music All Access subscription service has opened its digital doors to Australian music lovers. The service offers music to a large catalogue of tracks and albums from all the major record companies, as well as Australian and indie labels. If you can't find the music you love on the service, there's also the ability to upload and store 20,000 tracks for free online and access them through any Android device or the web. Like most of the service's competitors, you can also pin albums and playlists to your device for offline access. While there's no free, ad-supported version of All Access like Spotify, Google is offering a month's free trial of the service for anyone keen on testing it out. And to drive those sign up numbers, Google is offering a special $9.99 price for anyone who subscribes before the end of August. Those who sign up after that date will pay $11.99 after a 30 day free trial. It's also worth noting that Play Music continues to offer its free service which allows you to store 20,000 of your own tracks, although it doesn't include anything outside your personal library. The launch also brings Google's Australian Play services largely into line with international stores, with the biggest hole being TV shows. Here's hoping the fill that gap next.